Provata Health of Portland, Ore., is recalling about 30,000 Provata activity trackers. The activity tracker wristband can overheat while the user is wearing it or when charging, posing a burn hazard. The firm has received 13 reports of the activity tracker overheating during use or while charging, including three reports of burns to the wrist. This recall involves the Provata activity fitness tracker. 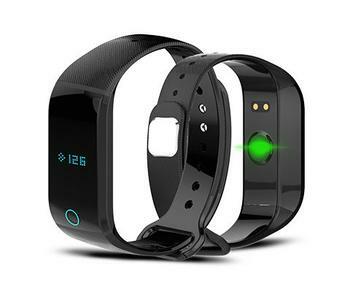 The wristbands, given to consumers as a promotional giveaway, feature a digital display, a charging terminal, a heart rate and step detector with Bluetooth technology. They were distributed in three colors: black, blue or mint green. The packaging displays the word “Provata” and “Activity Tracker [color]” printed on the front cover. The trackers, manufactured in China, were distributed as a free promotional item from August 2017, through July 2018, in mailings nationwide and in-person during employer wellness events in Oregon, North Carolina and Arizona. Consumers should immediately stop wearing or charging the recalled wristbands and contact Provata Health for instructions on how to receive a free replacement wristband. Consumers may contact Provata Health toll-free at (888) 343-9820 from 9 a.m. to 5:30 p.m. (CT) Monday through Friday or online at www.provatahealth.com and click on “Important Safety Recall” at the top of the page for more information.